One of our favorite restaurants in Dallas, TJ’s Seafood Market, is now serving Poké for lunch! Poké is becoming a major food trend and you see poké popping up on menus all over America. 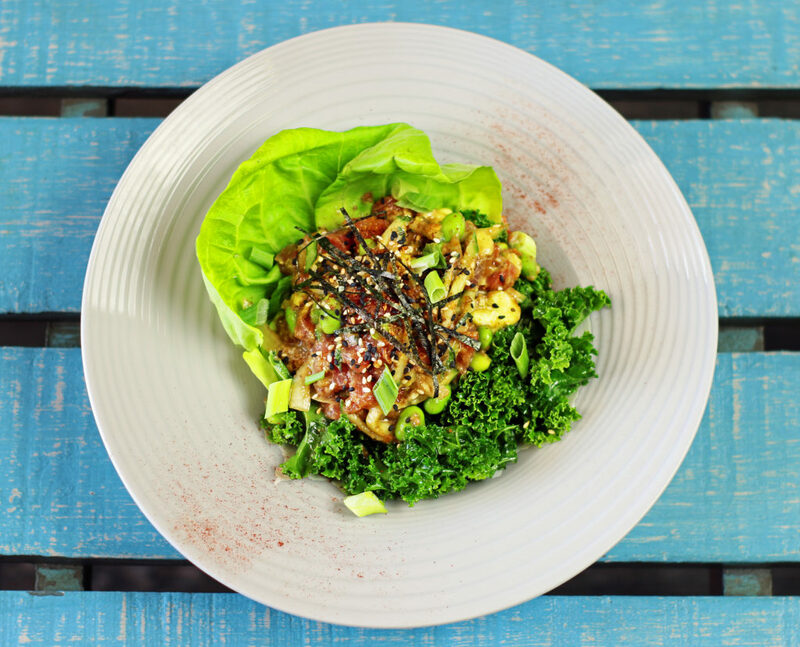 We’re especially excited for this trend as we were first introduced to Poké while living in Hawaii and have loved this healthy and tasty menu item ever since! This summer, Jon Alexis & Chef Nick Harrison traveled to LA literally eating at 12 different poké shops, from Pasadena to Santa Monica. Inspired, they came straight home and started developing recipes. 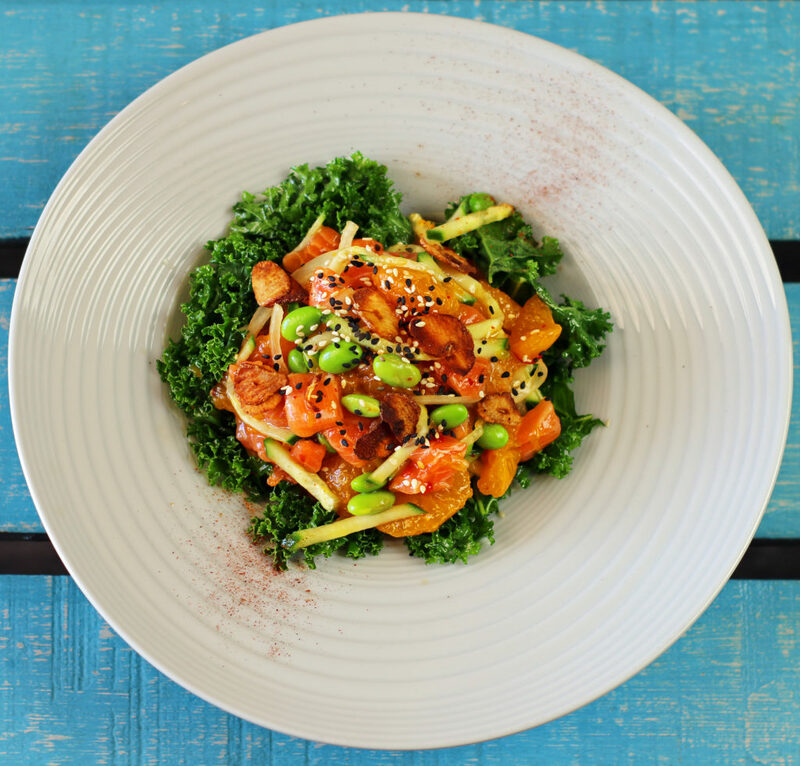 Poké is a traditional Hawaiian dish combining large diced raw fish mixed with flavorful sauces, vegetables and toppings. Taking poké from an appetizer to more of a meal you can now find poké being placed on top of a bed of rice, salad or noodles adding even more creative twists and preparations. Why do we love Poké? Poké is healthy source of lean protein. It’s filling, light, nutritious and delicious! What more can you ask for?! TJ’s has been Dallas’ trusted source for fresh quality fish for nearly 30 years. TJ’s gets it right. One thing to note is that many other restaurants joining in on the poké trend have been calling it the “chipotle of sushi”…and we definitely don’t want that application of raw fish! Yikes! TJ’s takes the exact opposite approach to handling raw fish. This is raw fish researched, respected, sourced, butchered, stored and prepared by the professionals and you can taste, smell and see the difference! 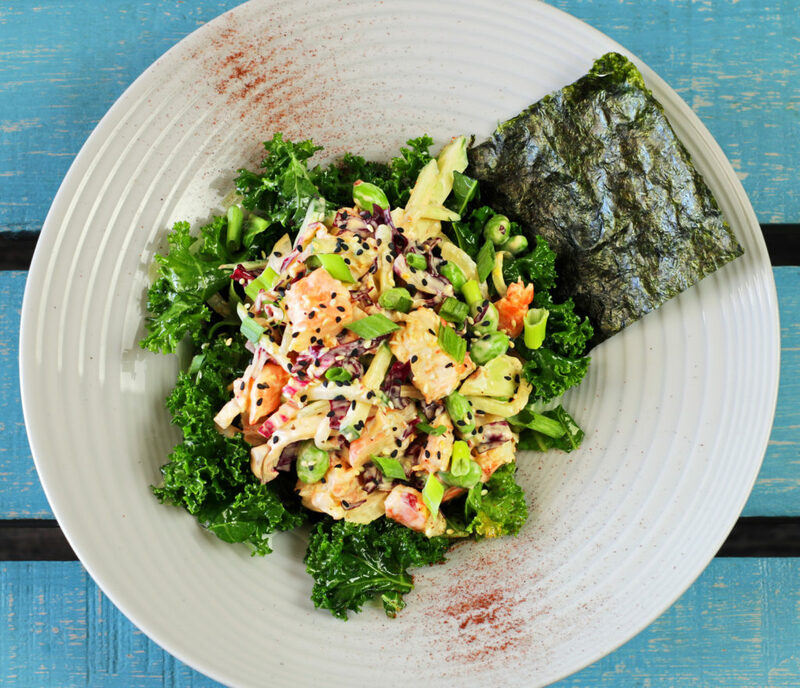 All of TJ’s poké bowls feature the highest quality of seafood with an emphasis on sustainability…… and we love that! 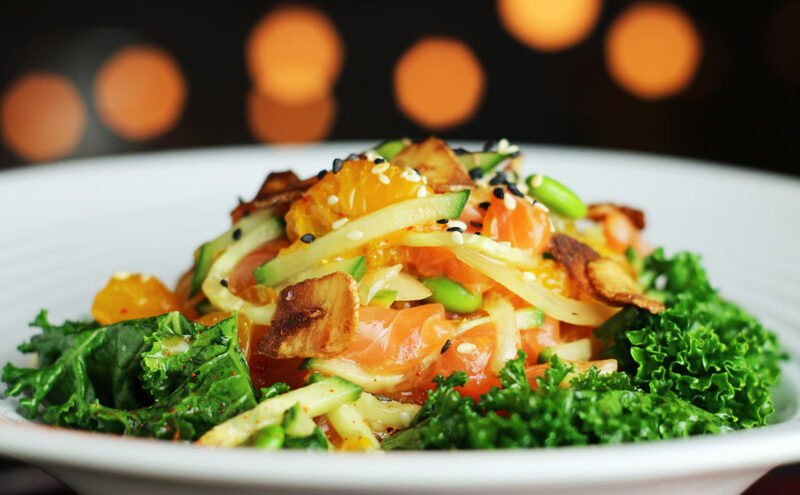 All three Poké bowls are delicious with the ‘Citrus Ponzu Salmon’ being our absolute favorite! We’re already looking at our calendar to see when we can sneak away from work for an epic lunch consisting of the above poké bowls! Thank you to TJ’s for inviting us to try a sampling of these tasty Poké bowls!